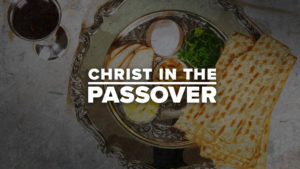 Come experience the symbolism & partake of the Passover Seder with us. All are welcome to come and learn the traditional meaning of the Passover and its historic fulfillment in Christ. Join us for our special Palm Sunday celebration 10 AM – Come discover why Jesus came into Jerusalem on this specific day by riding on a donkey. Learn why the people waved palm branches. Did you know that the same crowds that shouted to Jesus, “Hosanna, blessed is He who comes in the name of the Lord”, are the same people that screamed, “Let Him be crucified!” at His trial? Come discover how in just 4 days the tide of public opinion could so dramatically switch. Good Friday Service 7 PM – What is clouding your life from experiencing all that Christ has done for you? 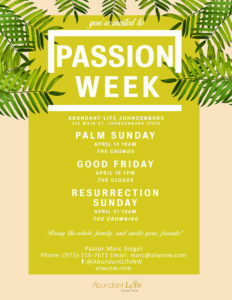 Join us and “nail it” to the Cross, so that you can experience the fullness of the Resurrection life. Resurrection Sunday Celebration 10 AM – Resurrection Sunday Celebration 10 AM – The resurrection is the single most important event in all of human history! Jesus is alive & seated at the right hand of the Father! What position & posture are you living your life from? Have you crowned Him Lord of all? Christ’s resurrection has altered the course of human history! Has it transformed your life yet? All are invited. Children are loved. Bring a friend & share a miracle. 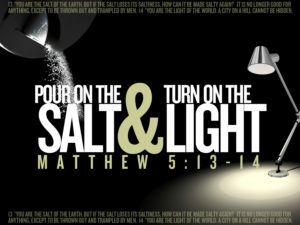 To be effective, salt must penetrate & light must illuminate. Jesus told us how we can be an influence from within our culture and from without our culture. Join us on this first Sunday in April (10 am), as we glean truth from these very important and familiar words of Christ. All are welcome! Children are loved! Yours is the Kingdom, the Power & the Glory! Join us this Sunday (2/24) @ 10 am, as we finish up our series on the “Disciple’s Prayer”! 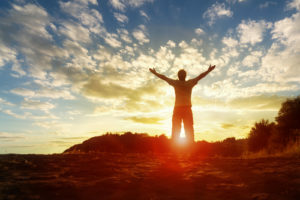 Freely you have received forgiveness, so freely you can give forgiveness! 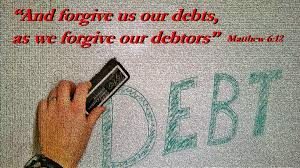 One of the key components in having your prayers answered is forgiving others of their debts, so that your Heavenly Father can forgive you of yours! This is part of the “Law of Reciprocity”! Join us this Sunday (2/10) @ 10 am as we continue to glean from the “Lord’s (disciple’s) Prayer”! 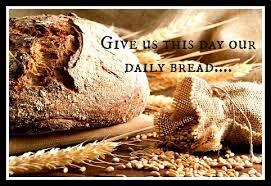 Why did Jesus say that we should prayer, “Father, give us this day our daily bread”? Was there a broader meaning and a deeper understanding to His use of the phrase “daily bread”? Join us this Sun. (2/3) @10 am as we continue our in depth look at the “Lord’s (disciples) Prayer”! All ladies are invited to join us for our next Ladies BnB on Sat. Feb. 2nd @ 9 AM, for great food, fellowship & Bible study. Bring a friend & share a miracle! Healing Service this Sunday 1/27 @ 10 am. Jesus Christ is the same yesterday, today & forever. As a man, He was anointed by the Holy Spirit & He healed all that came to Him in faith. 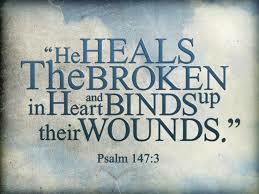 Since Jesus is still the same today as He was then, we believe that He still heals all today as He did then! Come receive what you need from Him, as we pray for all who are sick, weak, broken or bound up by demonic strongholds. When natural devastation had come upon the land of Judah, Joel proclaimed a fast to seek the Lord for His grace, mercy & kindness to once again be poured out upon his nation! Fast & Pray with us during the month of January, as we gather together on Wednesdays (6:30 PM) & Sundays (9:30 AM) to repent of our sins and cry out to our God for revival! All are welcome!